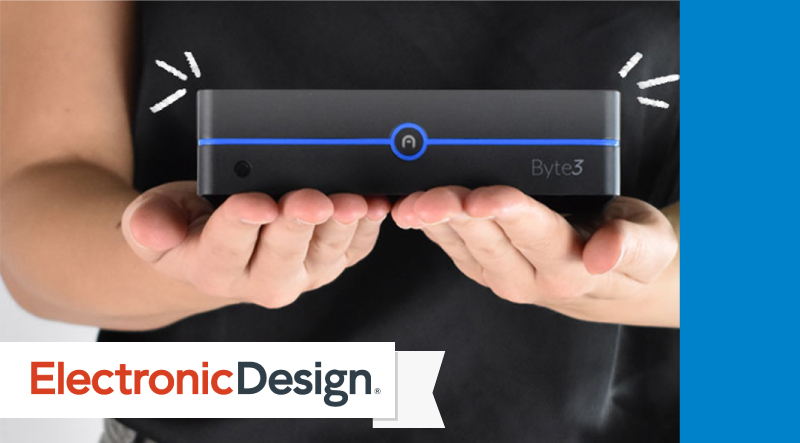 The Byte3 is a tiny, flexible, semi-powerful Windows 10 desktop PC for $200…if you can believe that. Perhaps the most surprising aspect of the Byte3 is the smorgasbord of expansion ports on the side and back of the system. The right side sports an SD slot for easy storage expansion, and there’s also a USB 3.0 port and a USB 2.0 port. I recently had a chance to give Azulle’s Byte 3 fanless mini-PC a test run (Fig. 1). This compact platform is a little larger than a NUC, but this allows more space for a 2.5-in SATA drive. It also supports M.2 SATA modules as well. The 2.5-in drives tend to be less expensive and available in higher capacities than the M.2 SATA flash modules. You also have the option to use a flash drive or a disk drive. 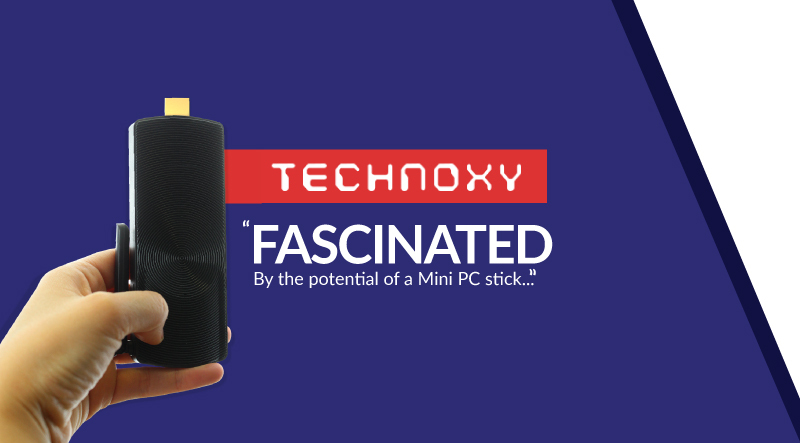 After Intel introduced the first Compute Stick, in 2015, there wasn’t a groundswell of competition imitating the tiny stick PC. That’s a real shame, since the idea of a PC you can stash in a pocket or hide behind any monitor or TV is an intriguing opportunity in our increasingly mobile world. One competitor, the Azulle Access PC ($159.99), manages to not only ape Intel’s design but also offer better performance and more ports. It’s an impressive feat that makes the Azulle Access Plus the best stick PC on the market. Fascinated by the potential of a mini PC stick, I took a shot at the Azulle Fanless Mini PC Stick. As of this writing, I have been using the product for nearly a month now in office. Since I have used the device to its full capabilities, I feel qualified enough to judge the product fairly. Frankly speaking, the tiny mini pc device did make my lives more productive and easier than usual. Cue the Azulle Lynk remote, a remote that has a lot of multifunctional options. Designed to be used with your TV, Windows, Android, Mac OS, or Linux devices, the Azulle Lynk remote may just be the only remote you will ever need. Azulle Access3 Mini PC Stick Review – Mini PC sticks, they call it. It’s practically like a giant USB flash drive that contains the whole operating system, or a fully functional PC at the palm of your hands. 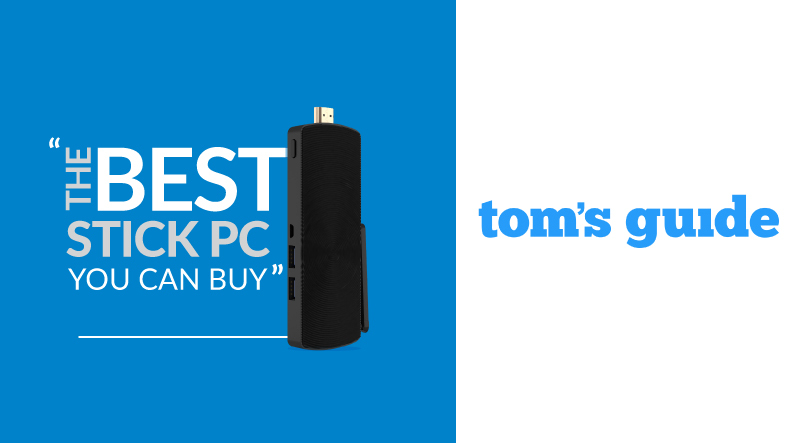 It’s definitely an interesting concept where you can carry the power of a PC into your pockets and plug it to any monitor or TV while you are not at home or at work. Back in the day, I had this bulky, awkward computer in my living room that I used to stream movies and other content onto my big-screen TV. And while it worked great, it really ruined the aesthetics of the room. Thankfully, computers have come a long way since then, getting smaller and more powerful over the years. A perfect case in point is the sleek and lean Azulle Byte3 Fanless Mini PC, which is small enough to fit in the palm of your hand, yet powerful enough to tackle anything you throw its way. 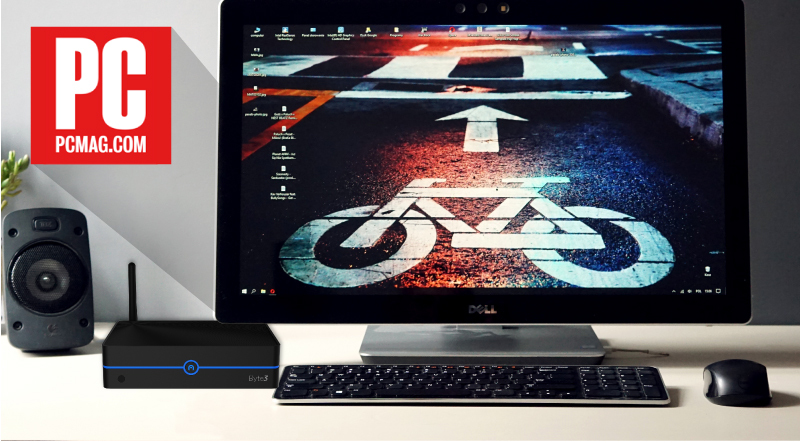 Azulle, the U.S. based Mini PC manufacturer releases the Byte3 mini pc desktop. Azulle Mini Desktop PCs are already known for replacing bulky, awkward computer towers with small, fast and affordable technology – and without sacrificing multi-purpose usability. The sleek and lean Byte 3 takes this concept to a whole new level! Now, Azulle is back with their new Byte3 Mini Desktop PC and it better than ever. Perfect for those looking to fill a small footprint vs having to find a place to store a full-size PC tower without it being an eyesore. The Byte3 fits perfectly into environment as it looks like nothing more than an addition to your home entertainment equipment. There are a number of cool devices for your TV that can give you access to apps. In the end no matter how nice looking they are or what OS they are running on they are essentially low-cost computers designed around streaming options. But some people miss the days of the full HTPC (Home Theater PC) which helped launch the streaming craze years ago. The problem is that old-fashioned HTPC’s can take up a lot of room and no longer fit in with the modern TV media look and feel. Azulle, which makes mini Windows PC’s has sought to be a solution to that issue and I think they really nailed it with the new Byte3, a quad-core mini PC that comes in two varieties one with 4 GB of RAM and the pro with 8 GB of RAM. Enter, Azulle’s Byte Plus mini PC. With a surface area about the same size of my hand, consumers can have a full Windows-based computer on their desk and not even notice it. Using an Intel CPU, 4GB of memory, and a fair amount of rear-facing I/O, the Azulle Byte Plus may just be an option for you on a new computer. 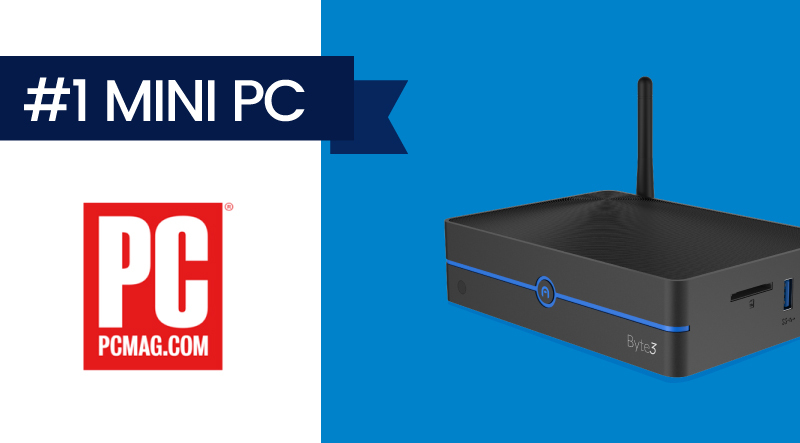 This is the third Azulle Tech mini PC that I have reviewed, but this one is special. The first two computers were living room machines that were good for internet browsing and normal computer needs. 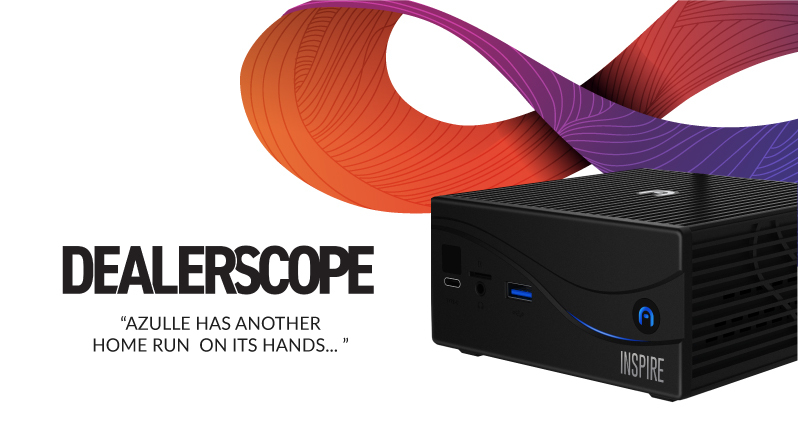 Today, we have a barebones unit that can do full-blown gaming.